As an owner of the Mt Albert and St Helliers offices, Jill Findlay is confident in her knowledge of the industry and has built a strong track record for selling stand-out Auckland properties. If you're interested in having a chat about your property, or to get some advice on what the market looks like at the moment, please don't hesitate to get in contact with me. 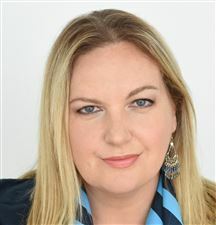 Julie Kelman-Poto offers her clients a Real Estate service that is second to none. She has worked with people’s homes, property developments and rentals for over 15 years. This extensive background has given her a depth of knowledge to all aspects of property from presentation and financing to sales. Julie’s highly personable approach means that she easily connects with both her sellers and buyers. Julie’s clients love working with her because she makes the whole process easy and she gets results. Julie has vast insight and experience in the real estate business. She has overseen rental divisions, mortgage divisions and office administration for busy real estate offices. Her administrations skills are outstanding and her clients enjoy and service that is professional and successful. This background has given Julie a passion for real estate and a dedication to her clients that is unbeatable. Community involvement has also been at the heart of what Julie is about. As a professional sportswomen and coach Julie has been involved with a wide variety of people from all walks of life. All of this has meant that relating to people is second nature to Julie. She is a natural real estate agent because she understands both people and their motivation to move. Julie’s service and sales always exceed her clients expectations. Audrey is well respected in the local real estate industry with over 10 years successfully selling houses and presenting on behalf of a wide range of transactions. She has detailed knowledge of subdivisions, zoning, consent procedures and the values inherent in such land projects. She often deals with high value transactions, with a meticulous eye for details and the knowledge to extract the best value out of the property for which she has an extensive buyer database. Fluent in English and Mandarin, Audrey has the strength of proven negotiation skills and experience in marketing. Most importantly though is her success in SELLING properties, from both traditional Family homes to top end properties and whether residential, commercial or sub divisible sites. Audrey has an extensive database of international high net worth buyers that frequently contact her, and her own personal experience in purchasing investment and development properties gives her a distinct advantage that sellers can use to achieve top prices. 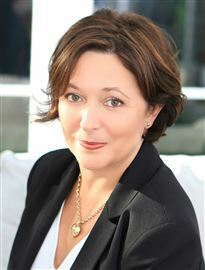 She is the complete Sales Consultant that you can rely on and trust for advice on marketing your property. Cindy has worked in the real estate industry for over 12 years with both local and international sellers and buyers. She strives to make the buying and selling of real estate for new and existing homeowners as uncomplicated as possible by having a good understanding of both the buying and selling process to ensure they achieve their ultimate property goals. Her aim is to provide you with professional, accurate and up-to-date information, skilled analysis, negotiating skills and sound real estate advice by working with the most capable, honest and hard-working professionals and maintaining the highest level of service. With excellent communication skills Cindy makes sure clients always feel well-informed throughout, and that every aspect of what can often be a stressful and emotional time, is a positive and rewarding one for them. Focusing on the Eastern area of Auckland Cindy was involved with Rotary for many years and through that involvement enjoyed hosting many overseas students and fundraising for the local community. Cindy enjoys the outdoors, a keen walker and playing golf at her local club. Cindy is very keen to help you make effective and creative decisions to ensure the successful marketing and sale of your property and strive for the best possible outcome for you therefore her success is your success. Frieda Ming has been working in real estate since 2007, and from 2011 she moved into a full time role as a real estate agent for Harcourts. She is also a former community board member for the Auckland City Council, Hobson Ward (included Remuera, Newmarket, CBD, Parnell, Epsom and Greenlane). Her desire to serve the community and the public won her respect and praise from the local community. 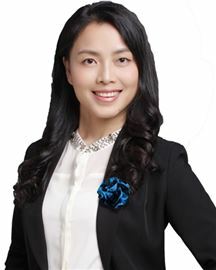 Frieda Ming is also very experienced and accomplished in marketing, PR and the media field. From 2003 until 2007, she worked as a presenter and television producer, and played a bridging role to effectively communicate between the Asian and non Asian community. Other skills include providing internet, radio, newspaper, magazine and other media consulting services to her property clients. Frieda Ming obtained her Master of Arts degree at Warwick University in the United Kingdom and has successfully managed many arts festivals and acted as a curator for numerous International arts exhibitions. Combining her success in the arts, media, marketing, sales and local community board service, Frieda Ming is your perfect choice for property and marketing advice. 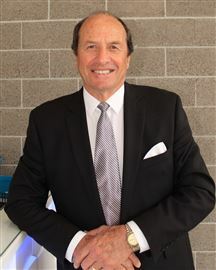 Having discovered the power of buying, renovating and onselling property, since selling his company of 20 years, John has chosen to pursue a career in the exciting industry of real estate. His strong administration and marketing background, together with his honesty, integrity and ability to empathise with people, stands him in good stead to provide a complete service to his clients. John firmly believes in a highly consultative approach with his clients - you get to make decisions based on all the advice John has to offer - making the sales process as stress-free as possible and maximising opportunities. If you are looking for a truly professional sales consultant who has drive and commitment yet is also friendly and approachable, then give John a call. He'll provide the service and results you are looking for. Nicola has successfully sold some of Auckland’s most private and prestigious homes, estates, investments and property portfolios and is one of the few agents who has successfully sold multiple individual property sales over the value of $5 million. Nicola is an astute and savvy negotiator, her skills honed over the years. Her confidence and experience, focused sales ability and positively tenacious outlook on life has real advantages in maximizing your real estate sales price. Nicola has dealt with both local and international vendors and buyers, Nicola is clearly an assured connector, she makes deals happen. Dealing with Nicola will leave little to chance. Choose trusted integrity + proven results. Call Nicola today for a confidential talk about your home. Nicola, your area specialist: Luxury Homes, Family Homes, Estate Property, Cliff Top and Waterfront Property, Lifestyle Homes both Coastal and Suburban, Portfolio Investments. Having over 10 years previous experience in residential sales, Steve is excited to be back in Real Estate and has chosen the Harcourts brand as his preferred choice and Harcourts St Heliers as his office. His attitude and skills matched with Harcourts brand, award winning service and world renowned technology are the perfect recipe for the best results. Armed with a good sense of humour and natural communication skills Steve endeavours to get you the best results while making the experience as stress free as possible. With Steve’s background in Sales and Marketing and with Harcourts leading marketing techniques, sales plans, and a dedicated team of support staff, clients can take confidence they are fully supported every step of the way. There are two keys to selling property, Marketing and Negotiation. Steve is a keen photographer and recently completed a diploma in commercial photography at South Seas Film & Television. This qualification and attention to detail will ensure that your property is marketed to a highly professional level. With 10 years in real estate, multiple training courses and a lifetime of experience his negotiation skills are top class. Giving you the full package to get the result you deserve. Want Land and Plan to Build?